Chief Technology Officer, Plunify Inc.
27/3 One full paper, and one short paper accepted to FCCM 2019. 11/16 One full paper accepted to FPGA 2019. 9/16 Two full papers accepted to FPT 2018. 13/3 One full paper accepted to ISCA 2018. 05/3 Two full papers accepted to FCCM 2018. 26/9 One full paper accepted to FPT 2017. 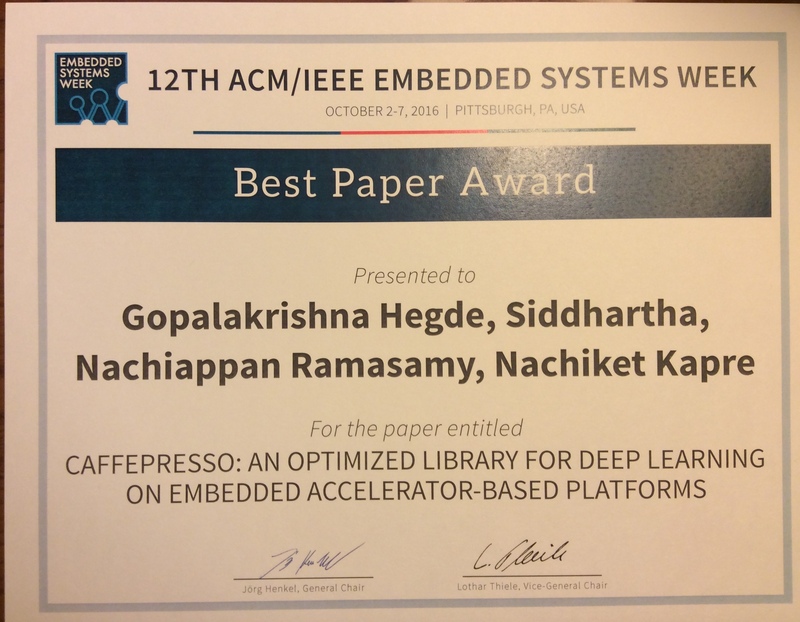 15/10 Delivered tutorial on neural networks + embedded SoCs at ESWEEK. 25/7 Delivered invited talk on OpenCL programming at Harbin, China. 12/7 Two full papers accepted to FPL 2017. 3/4 IWOCL 2017 short paper accepted. 7/3 Two full papers accepted to FCCM 2017. 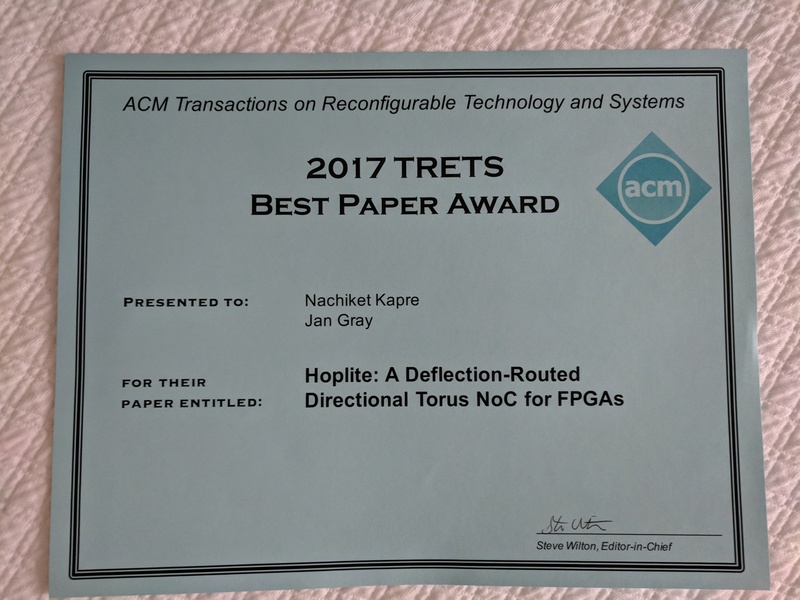 14/12 Journal article accepted to TRETS 2017. 20/11 Short paper accepted to FPGA 2017. 11/11 Paper accepted to DATE 2017. 18/9 Paper accepted to FPT 2016. 25/8 Paper accepted to ACMDev 2016. 16/7 Invited lecture at PAPAA summer school kicks off at Hong Kong University. Full-day session on OpenCL for CPUs, GPUs and FPGAs. 2/7 One full paper accepted to CASES 2016. 20/6 Three full, one short accepted to FPL 2016. 2/3 One full, one short and two posters accepted to FCCM 2016. 15/11 One full, one short and one poster accepted to FPGA 2016. 2/11 One journal article accepted to Supercomputing Frontiers. 17/9 One journal article accepted to TRETS. 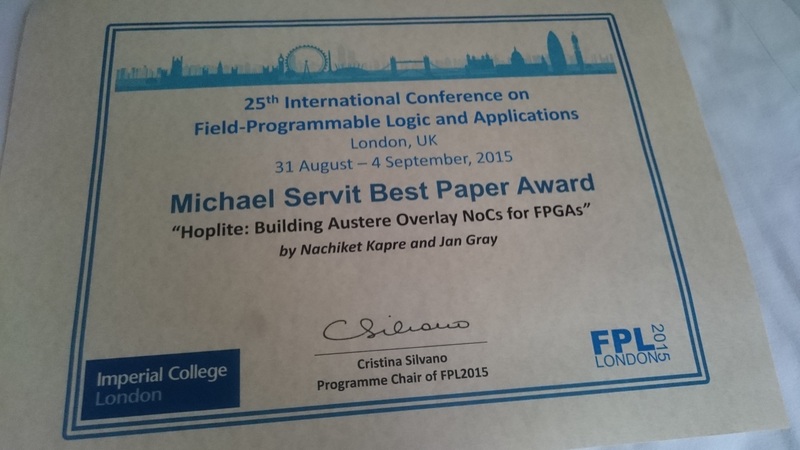 3/9 The Hoplite NoC paper with Jan Gray won Michael Servit Best Paper award at FPL 2015 , Certificate, Photo. 10/8 I’m PI on a Tier-1 grant for Machine Learning in FPGA CAD (S$100K). 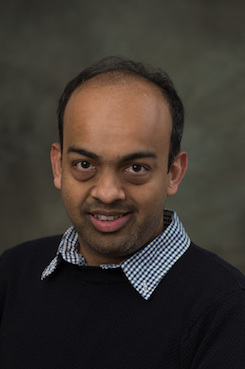 4/8 I’m a Co-PI on a Delta Electronics grant led by Arindam (S$100K Co-PI). 15/6 I’m a Co-PI on an MIT-SMART grant led by Arindam (S$60K Co-PI). 5/6 Two full papers, one poster accepted to FPL 2015. 18/5 One full paper accepted to ASAP 2015. 3/3 Three full papers, one poster selected for FCCM 2015. 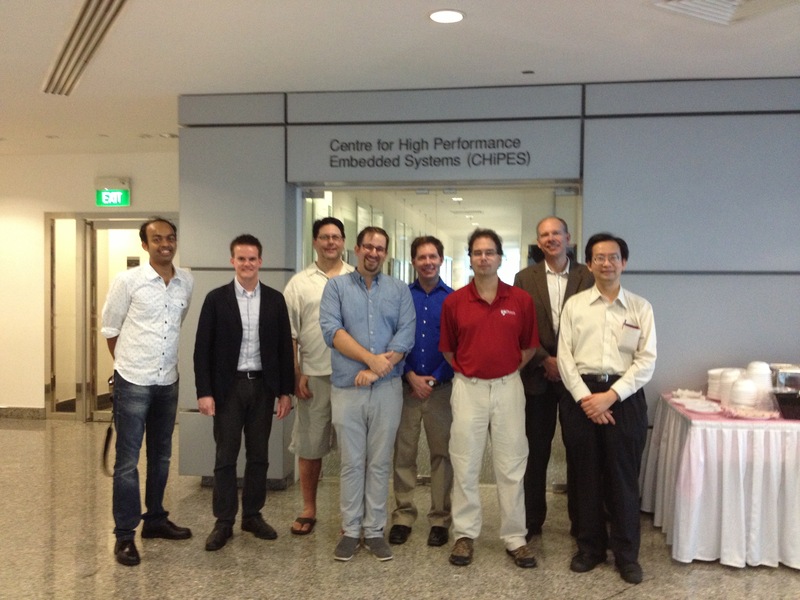 17/2 Paper selected for Supercomputing Frontiers 2015 (organized by A*Star, Singapore). 16/2 Two full papers accepted to RAW 2015 (co-located with IPDPS 2015). 24/11 My third Edex (Excellence in Education) grant as PI accepted S$37K (Co-PI: Anupam Chattopadhyay). 13/11 One full, one short and one poster accepted to FPGA 2015. 19/9 Two short papers accepted at FPT 2014. 1/8 Full paper accepted at HiPC 2014 (collaboration with NTU EOS). 21/7 Full paper accepted at DFM 2014 (co-located with PACT 2014). 10/7 I have started consulting as CTO at Plunify. 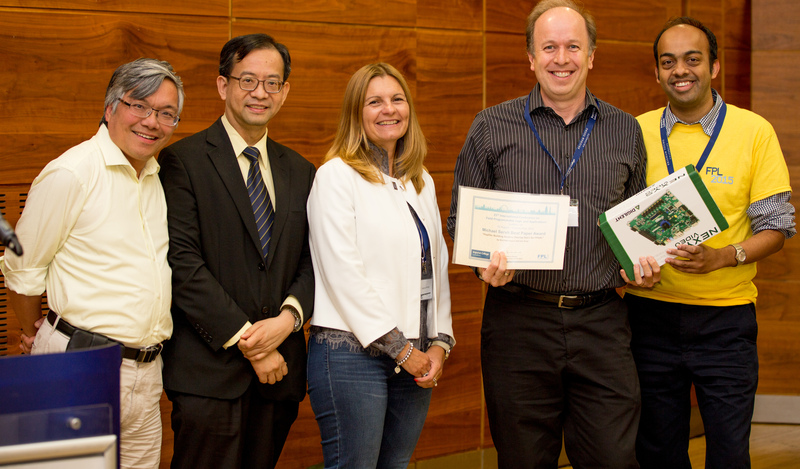 25/6 One FPL 2014 full paper (Best Paper Nominee) and poster accepted. 13/3 Three FCCM 2014 short papers accepted. 6/12 Abid’s TPDS 2013 journal article accepted . 30/11 AcRF Tier 1 Grant as PI accepted S$150K. 28/10 My second Edex (Excellence in Education) grant as PI accepted S$40K (Team: Arvind Easwaran, Iris Lee Chai Hong). 2/10 One FPT 2013 full paper accepted. 13/8 My PhD student Abid Rafique wins the HiPEAC Paper Award 2013 for our FCCM 2013 paper, Certificate. 8/8 My Edex (Excellence in Education) grant team wrapped up their summer project on automating assesment. 30/4 My paper is one of the 25 most influential papers at FCCM in past 20 years FCCM20, Certificate. 25/4 Siddhartha wins 50th DAC Richard Newton Student Fellow grant. 24/4 Dulitha joins my lab as research staff. 18/3 I’m the PI/PL on our successfull CELT Edex (Excellence in Education) Grant S$25K (Team: Kyle Rupnow, Iris Lee Chai Hong, Raphael Rubin). 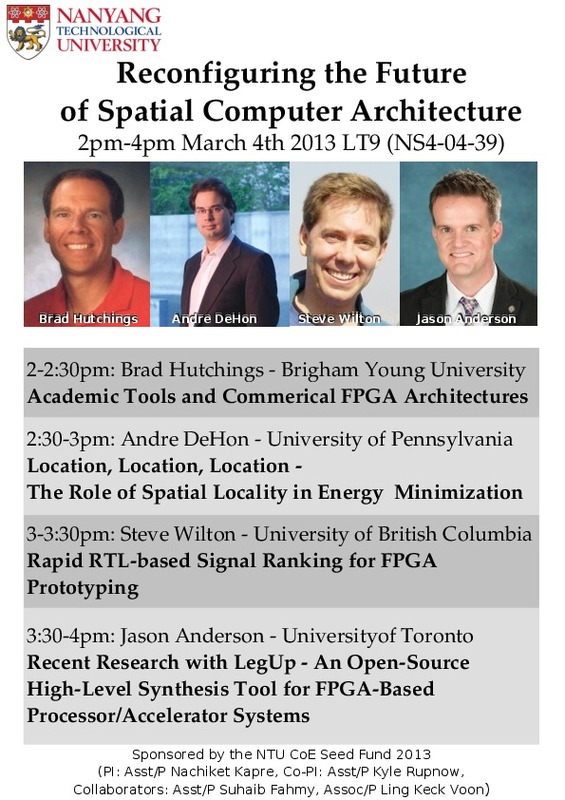 2/3 I’m organising the 2013 NTU Roadmapping Workshop on the Future of Spatial Architectures Flyer, Participants. 2/3 Two FCCM 2013 full papers accepted. 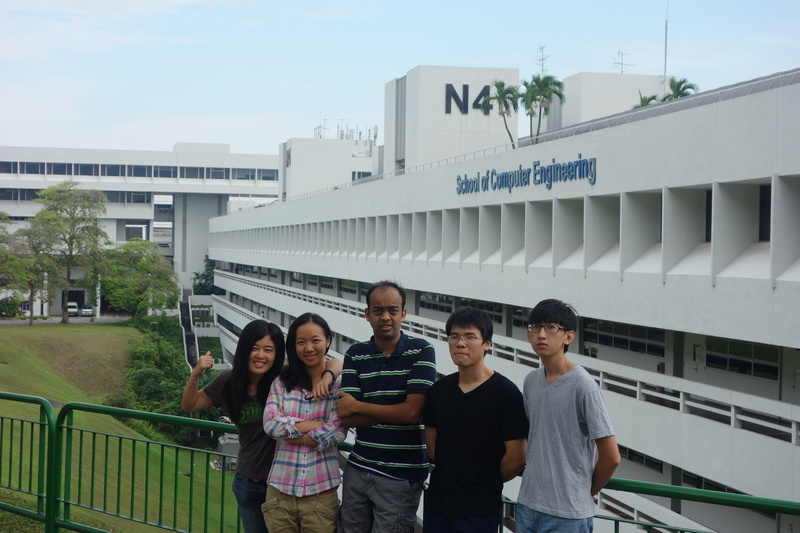 17/12 I’m a PI on our successfull S$50K NTU College of Engineering Seed Fund grant (Co-PI: Kyle Rupnow). 1/10 I’ve started as an Assistant Professor at SCE, NTU.